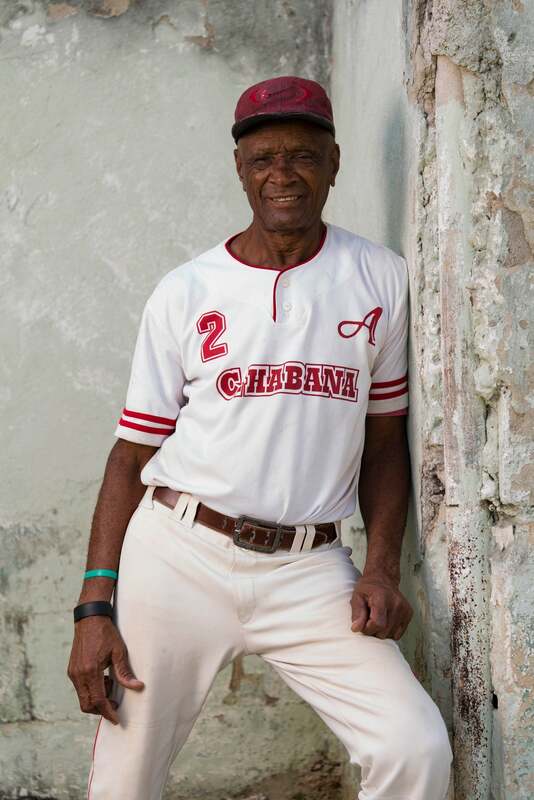 Cuba is changing and for National Geographic photographer and Sony Artisan Of Imagery Ira Block that change prompted him to get the final images in a long-running book project about baseball in Cuba. 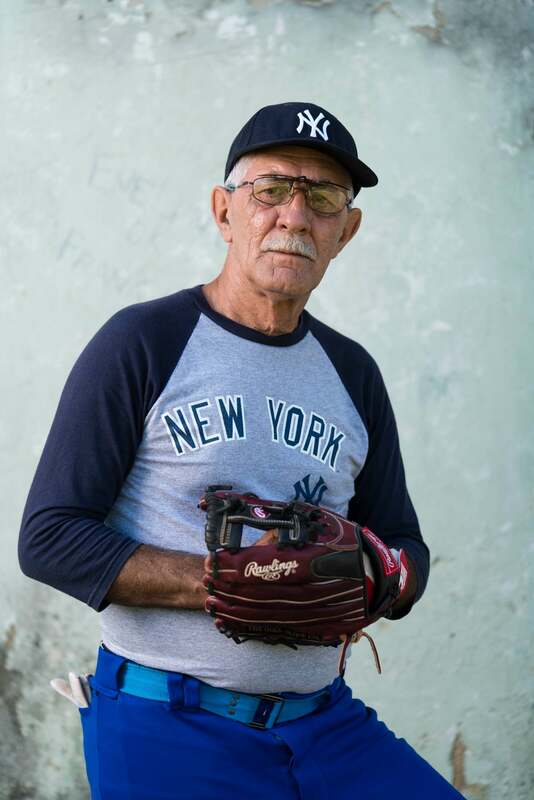 Block loves the purity of baseball in Cuba and part of the essence of that is embodied in a generation of players in the 60s and 70s, men and women, who continue to play the game as they have their entire lives. 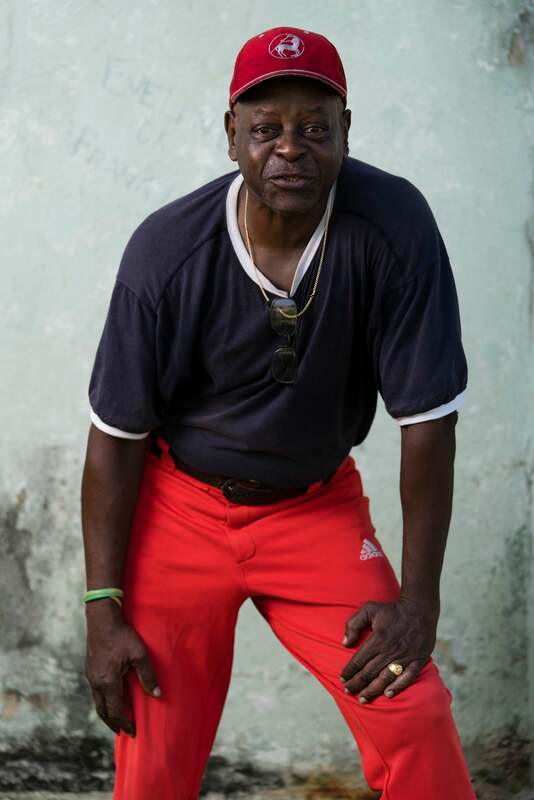 To capture these players for whom the game is almost a religion, he set up a makeshift studio at the baseball diamond and approached players between innings to come and have their photos taken. For these portraits, Block used the Sony FE 90mm f/2.8 G OSS Macro on his α7R II camera. Alpha Universe: What made you want to do this book project? 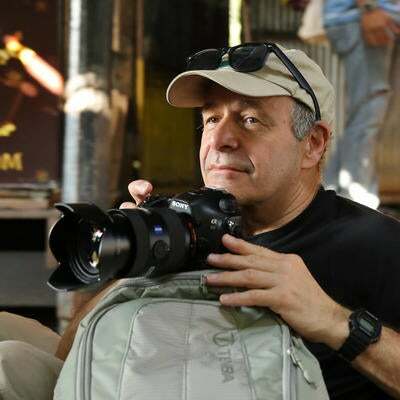 Ira Block: I've been to Cuba a lot, and at the start of 2014 I knew things would be changing. Baseball is a game I love and I saw baseball in Cuba as it must have been in the US in the 1940s or 50s...when it was more of a sport and not so much big business. Now that Cuba is opening up more, change is inevitable. I can’t predict the timing, but I think that just feel of baseball there and how it’s so loved by the people--it's almost a religion to them—is going to really change a lot. I wanted to document it now because at some point, I know from my travels to other cultures, things go away. I thought, "Someone needs to show what this looks like." 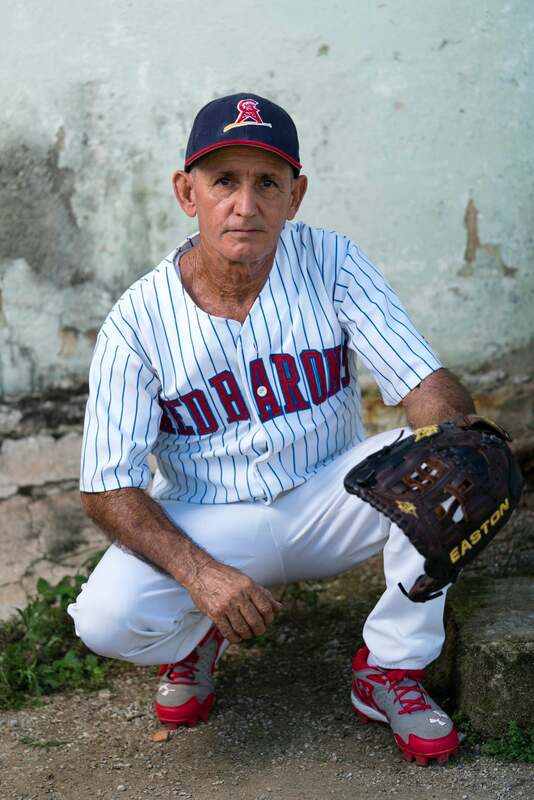 I wasn't shooting so much action because somebody sliding into second base in Cuba doesn't look that much different than someone sliding into second base in Chicago or New York. It wasn't about the action of the sport; it was more trying to look at the country through the sport and the people through the sport. Alpha Universe: The 90mm Macro isn’t typically thought of as a portrait lens. Why did you use it for this project? Ira Block: One of the things I like about the 90 is it's small and it's really, really sharp at f/2.8. I wanted to shoot at f/2.8 because I wanted to knock out the background as much as I could given that I wasn't shooting a tight headshot. I was shooting mostly half bodies. On a tight headshot the background goes out really nicely, but when you're shooting a half-body, you've got a little more depth of field because of the distance. At f/2.8, I could smooth out that background. Also, the 90 is extremely versatile. If I come in super close and do just someone's face and eyes, the 90mm will get right in there nicely. 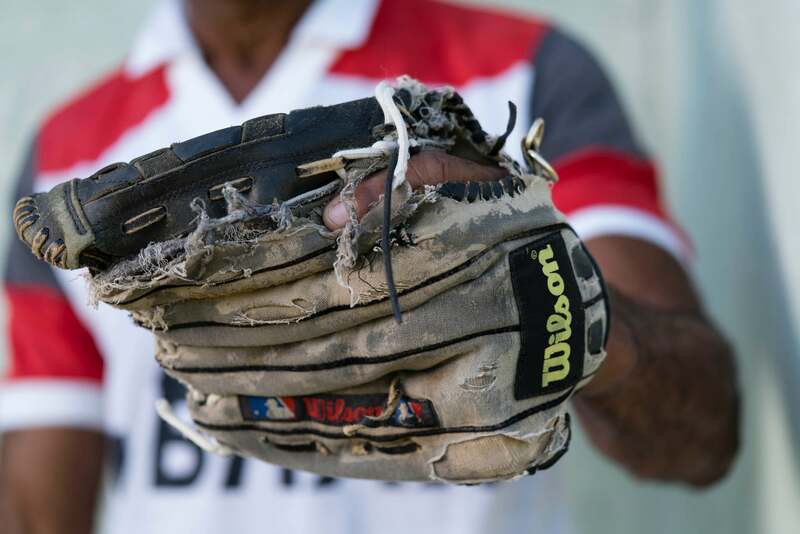 And I did a few shots where I got in real close on some of the gloves that were really worn out looking. I did all of that with the same lens. Alpha Universe: When you were shooting the portraits, were you working alone? Ira Block: I had an assistant because we set up a big Octobank so I could get a little more sparkle in people's faces. We were in the shade, and I set up the Octobank with a big strobe so I could just control the light. I didn't want a strobe overpowering the daylight, because I wanted to keep that nice blue in the background. I just wanted to add a sparkle. Also some of the players are darker skinned and the Octobank made it possible to get a nicer highlight on their skin tones. Of course, some of the players were wearing hats, so the Octobank helped me to get light on their faces. Alpha Universe: In this country baseball’s been called the national pastime, but it’s maybe the pastime of a bygone era. In Cuba it’s really different. It permeates so much of society. Ira Block: Right. The game is part of the culture, but it's not the physical action of the sport. Before my last trip, I was thinking, "What do I need? What am I missing?" That's always a question photographers ask themselves when we’re working on a big project. “What's missing?” I realized it was these older guys who, even at 70 and almost 80 years old, still love the sport they had played when they were younger. I met them. I went to one of the games, and I thought, "What could I do? What will bring this out and make a statement?" Their uniforms and their faces did it for me. Then I found a great background that complemented everything. Alpha Universe: So you just went up to the players during the game? You didn't arrange portrait sessions? Ira Block: That's it. Between innings or when a team was at bat, I'd find the guys that weren't going to be at bat for a while and I just started bringing them over, hustling them over really, and grabbing the images of them. I had the lights and everything set up so I could get them in and out quickly. That’s how we did it. 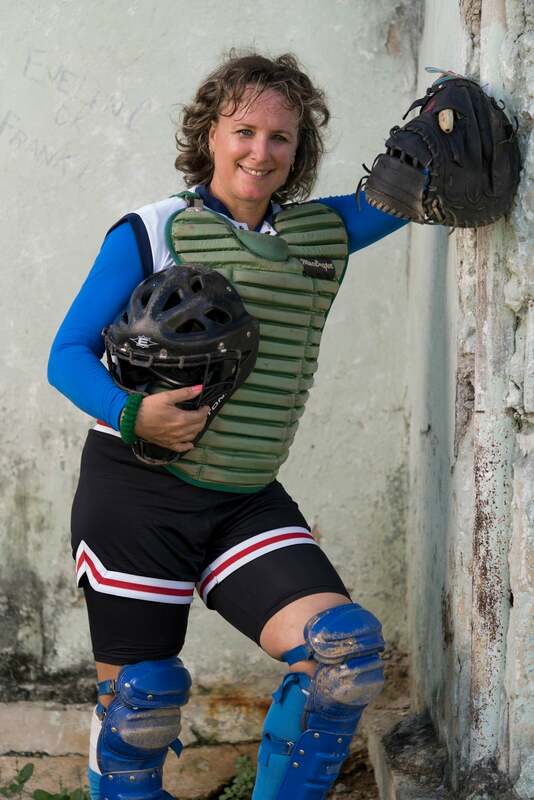 Alpha Universe: When is the Cuba baseball project book coming out? Ira Block: It will be out next spring in time for Opening Day. There are exhibitions of the work traveling now.